Is Your Falcon Boat Horn on Board? Did you know that Falcon Boat Horns meet US Coast Guard requirements for sound signalling devices? Falcon Horns were designed by acoustical experts and are made and tested in the U.S. They are guaranteed to carry sound up to a 1 mile radius over land or sea. 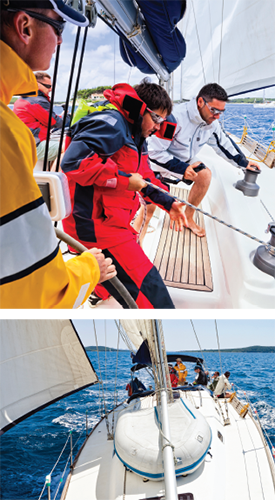 Superior Protection for your boat, cleats and lines. Falcon Linemaster Mooring Snubbers and Rigging Tape are the ideal solution for protection from wind, waves and wakes.